An incredibly strong robust machine, built to exacting standards. At home indoors, outdoors and even on the beach! 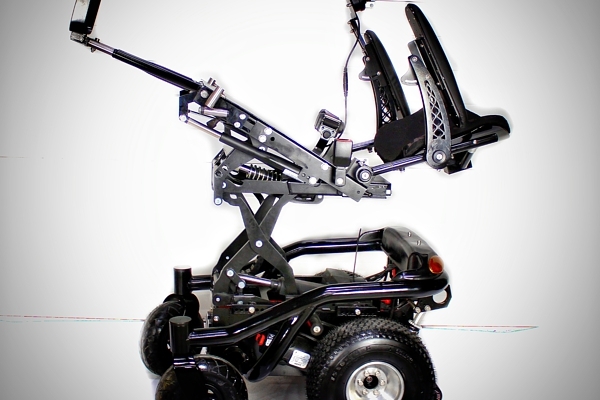 Maintaining an incredible 15.5" seat pan height and using the best lift and tilt equipment on the market from Reac, for a rock steady lift and tilt. The recline function is unique, designed and made by us to maintain aesthetics, controlled from your joystick. Our chairs are built with no compromises in mind, made mostly of stainless steel and alloy components. 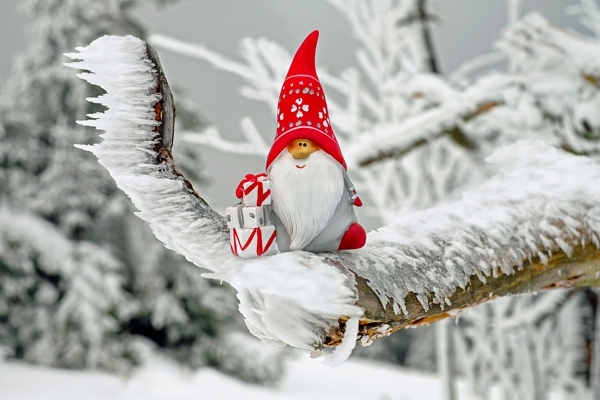 Our chairs are built to fit you, not one size fits all like most other manufacturers. Our chairs will fit you perfectly, made to measure - we take the time to get it right. From the top of the range R-net PM 120, the Hegar split rim alloys, and Odyssey 1500 68ah Marine Batteries, all of our components are carefully sourced to ensure reliability and durability. Our chairs are built to last, no doubt about it, when compared to the exisiting wheelchair market we are head and shoulders above the rest. 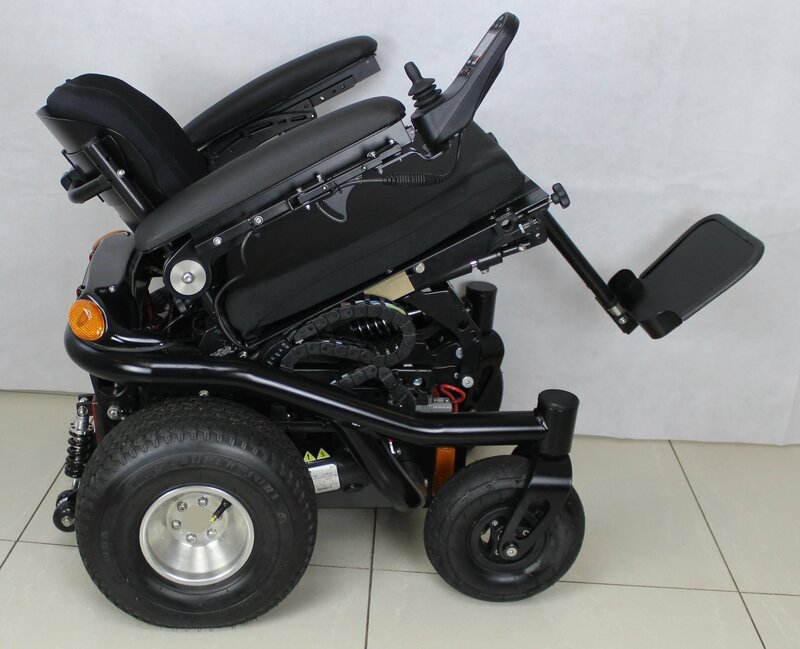 Every other powerchair that claims to be indoor/outdoor is either incredibly poor outdoor or just way too big indoors, we believe 'The Powerchair' is the perfect size to take on both. The chairs we build are a true indoor/outdoor powerchair. The dimensions of the chair vary from client to client, but as a rough guide they are 25.8 inches wide and 40 inches long (with footplate down, shorter when flipped up), the backrest can be removed easily making the base of the chair approx 500mm high, so easily able to fit in the back of an estate car. 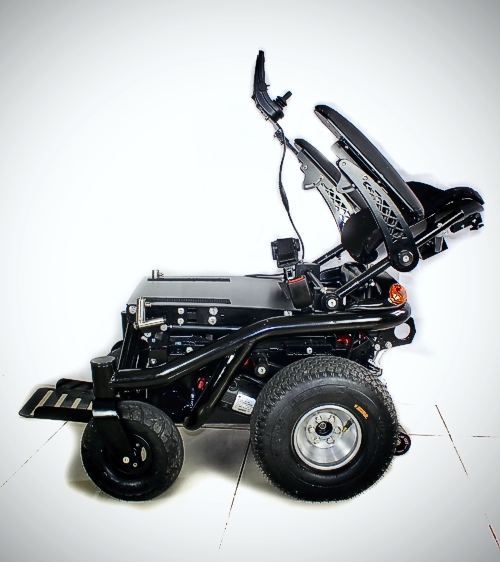 The size of the chair coupled with it’s off road performance is unrivalled in the powerchair market. Our chairs are built to exacting standards, with many stainless steel and aluminium components (including stainless steel bearings and fastners throughout), with any mild steel heavily powder coated to prevent corrosion. They are very bespoke and built to fit you perfectly without the outrageous cost that other manufacturers charge for such an important service, coupled with the chairs fantastic performance indoor and especially outdoor, I believe they are the best all-round powerchair you can buy. 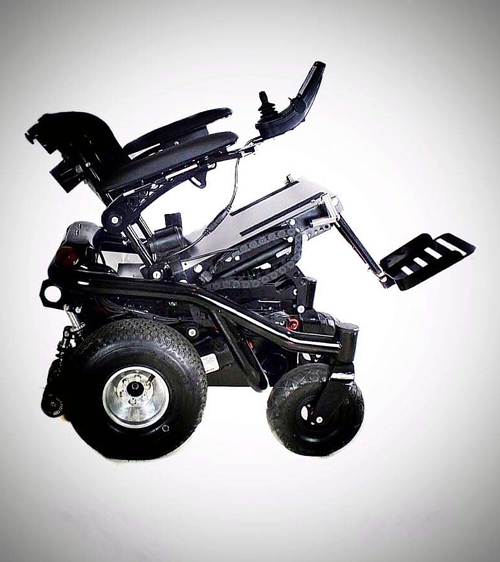 We build two versions of ‘The Powerchair’. The first version is very rigid and exceptionally strong, but cannot have a lift, lift and tilt mechanism added. This is available in either hard-tail (no rear suspension, manual chair users generally prefer this) or soft-tail (with rear suspension). It can have a tilt, leg articulation or recline added if required. The second version is still very strong but not quite as rigid due to the reac tilt in space/lift and tilt in space mechanism. This can only be built incorporating one of these two mechanisms as a minimum, and may also have recline or foot articulation if required. Again this is available in either hard-tail or soft-tail. 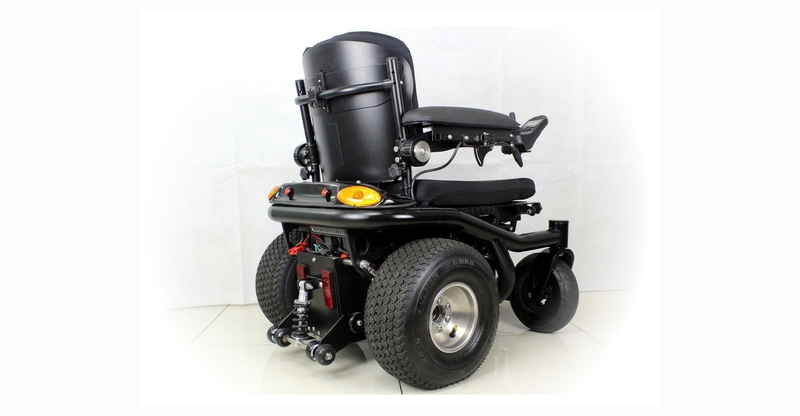 The Powerchair can be fully customised to suit your needs. 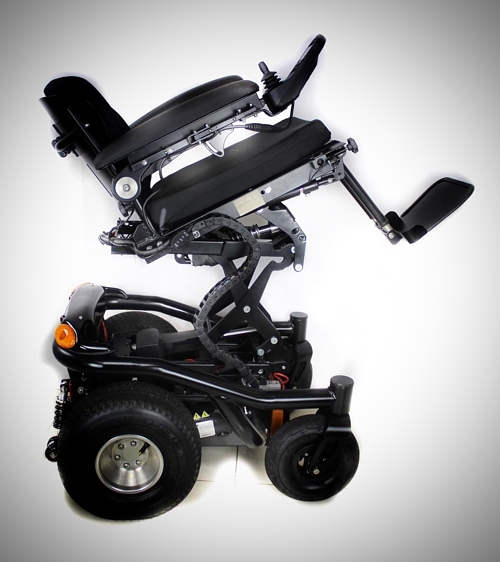 The first enhancement and one of the most practical, + tilt gives you the option to relax with the touch of a button and change the chairs center of gravity to conquer different terrains. The recline function is unique, designed and made by us to maintain aesthetics, controlled from your joystick. Fully adjustable the recline function can provide you with the maximum comfort. 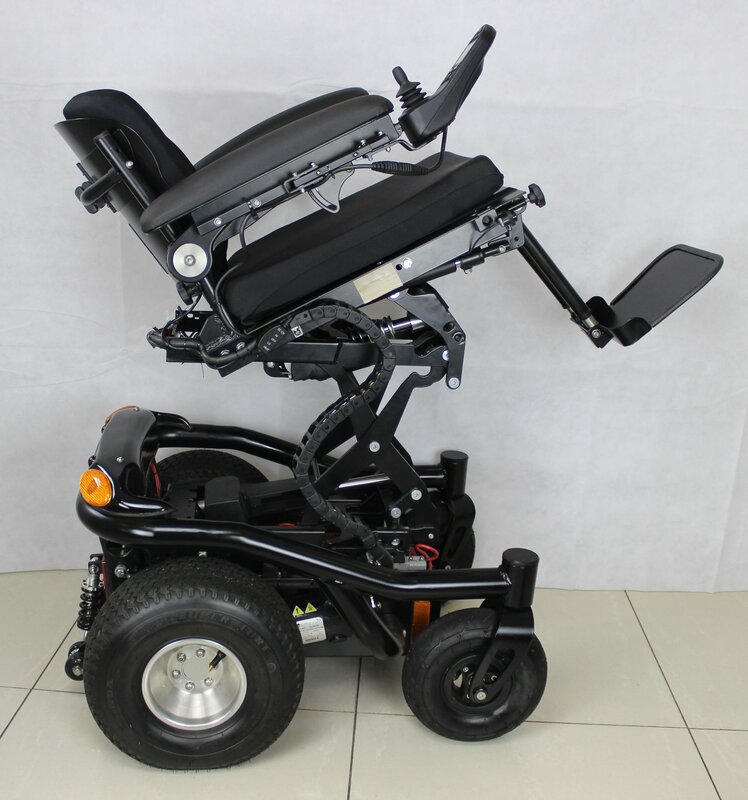 Lift and Tilt offers 12" of lift, giving the user the freedom to reach items placed up high and be at eye level with others, whilst maintaining the off- road capabilities of the standard chair. Foot articulation from a center foot plate, as the footrest rises, it also extends to accommodate the legs correctly. To make the most of an ultra low seat pan height, foot articulation is recommended. 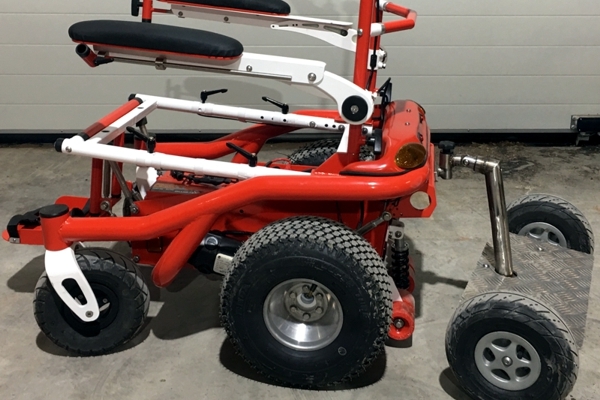 "At the Powerchair Company we don’t sacrifice build quality for a little extra profit when building something as important as Powerchair’"
"An incredibly strong and robust machine, built to exacting standards, at home indoors, outdoors, and even on the beach!" 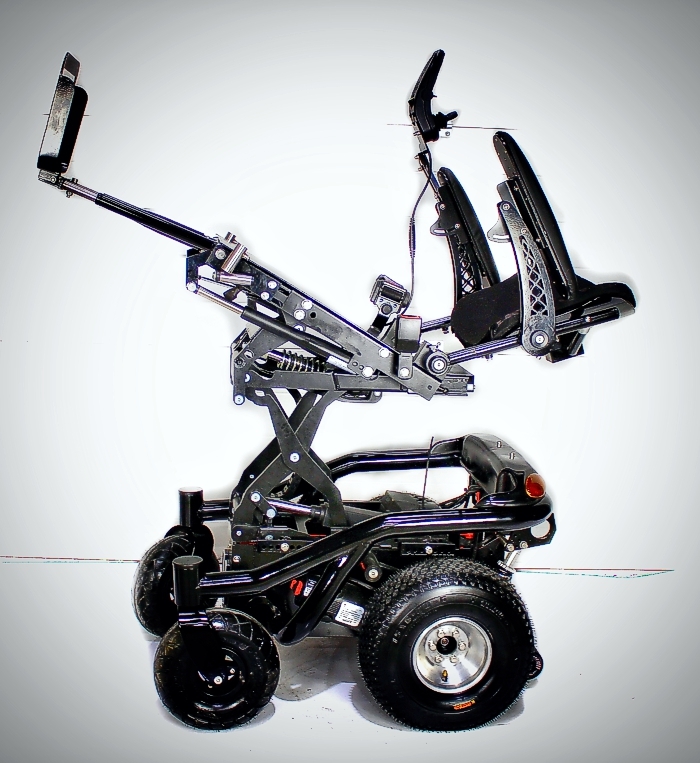 Keep up to date with the latest developments from 'The Powerchair Company'. 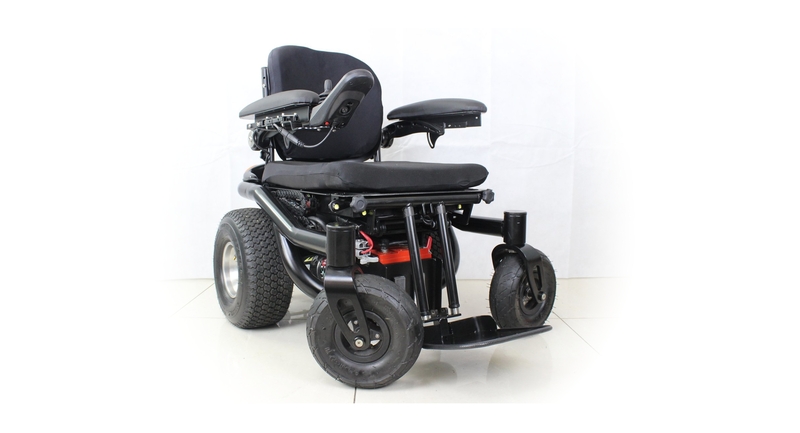 We build and supply all our own powerchairs. 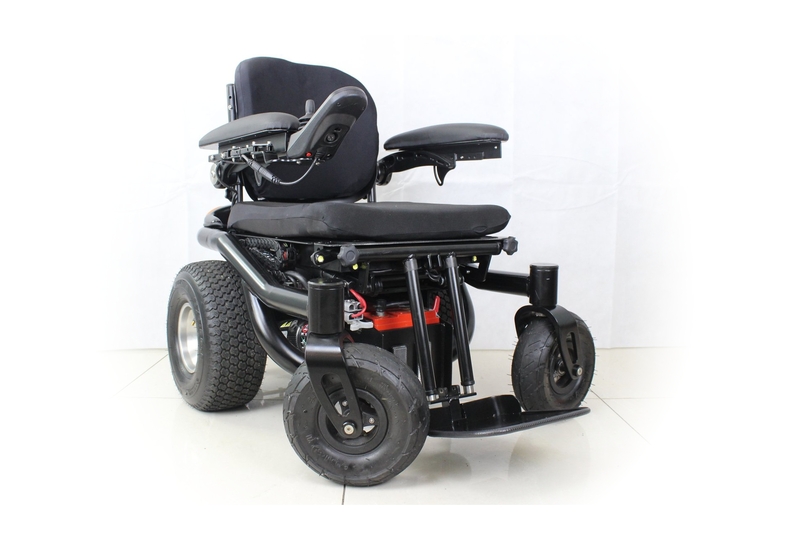 We are a successful family run business looking to change the electric wheelchair market for the better. 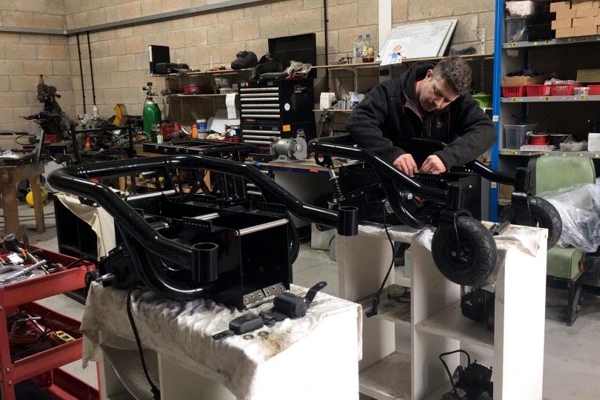 We currently build very bespoke powerchairs, all based on a very special chassis that offers outstanding outdoor performance whilst keeping the dimensions of an indoor chair. 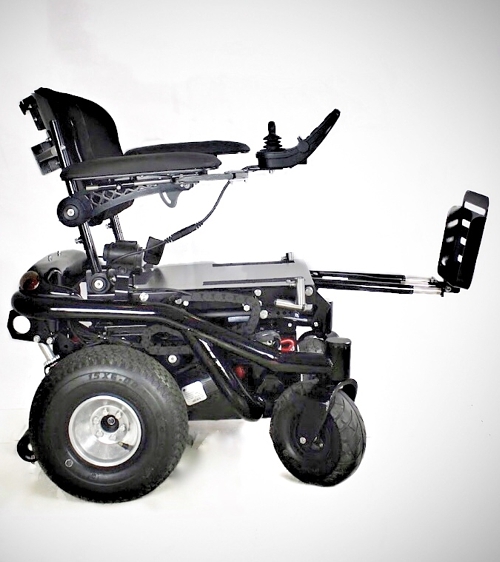 A TRUE Indoor/Outdoor powerchair.